The fishing resort Holmfoss is located in the mid part of the river Numeslagen just underneath the waterfall Holmfoss. Holmfoss is a waterfall split in two three different falls. The main fall is located on the east side of the river. Its great fishing with worms in all weather and water conditions. Underneath the waterfall the river opens up like a small lake created by the current. In this current you have great fishing from the riverbank as well as from riverboats. In the continuation the river calms down and you have several good spots for fly-fishing. This small lake underneath the waterfall is wide and deep and provides for the best mating place in the entire river. The resort is divided up in three different sectors. Near Holmfoss there are many beautiful natural lakes, where fishing for pike, pike-perch, perch, trout and sea trout is possible. The beautiful beaches are located on both lakes and the sea. At the sea you fishing for cod, sea trout etc. It's no more than 5 to 15 minutes drive to these places. Additionally Larvik Golf Course gives you a warm welcome to one of the country's finest golf facilities. When you visit the lodge in winter, it's a short distance to the slopes for skiing and trails for cross country skiing. Obviously skating on the countless lakes is a must. Should you wish to visit a cosy harbortown after salmon fishing then Larvik is the place to be. 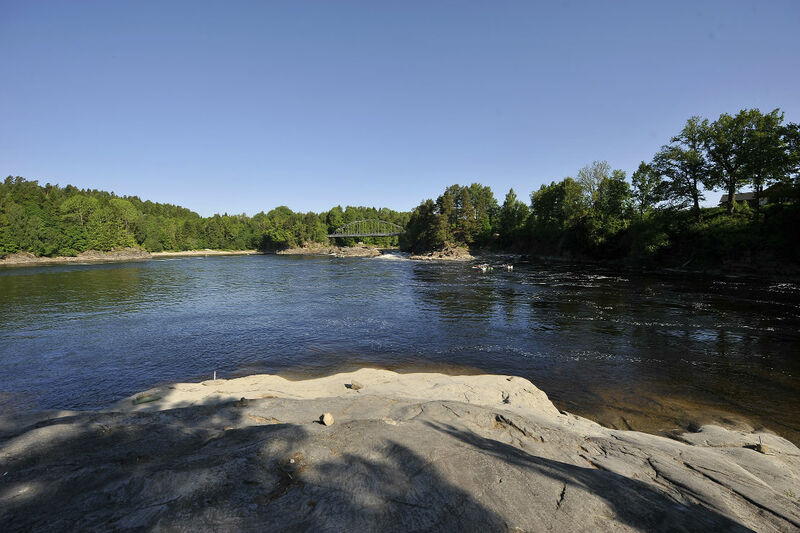 Larvik is about 20 minutes by car and easily accessible from Holmfoss. The city has a historic center and very good restaurants where you can enjoy traditional Norwegian dishes.